Narrative: Part of a lot of items donated by Peter Jones. Lt. Frederick H.M. Jones is one of the individuals named on the pass. 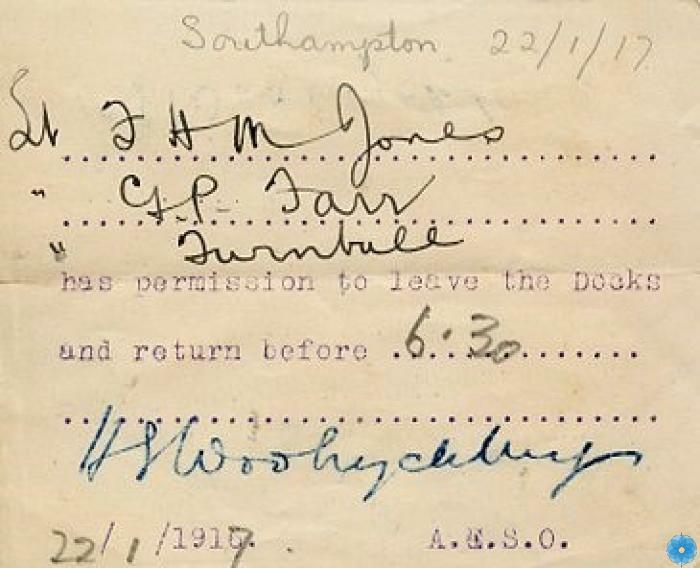 Description: A pass issued in Southampton England on January 22, 1917 for permission for named individuals to leave the Docks.